This week marks 100 days since Congress let federal funds expire for the Children’s Health Insurance Program (CHIP). This unprecedented lapse jeopardizes the health of one in eight children and more than 300,000 pregnant women nationwide, who count on CHIP for affordable medical and dental coverage. Although Congress approved a short-term patch in December, families and states are still waiting for the certainty of a long-term renewal. Congress has an upcoming opportunity to do right by kids. Lawmakers must pass another spending bill by January 19 to keep the government open — and a multi-year CHIP extension must be included when they do. The Children’s Dental Health Project and its partners would prefer to see CHIP funding extended for a decade or more to provide stability for the program and the families it serves. 1. A multi-year CHIP extension will ensure this proven program doesn't get sidetracked by partisan gridlock again anytime soon. Two decades ago, CHIP was established with strong bipartisan support. It continues to be widely supported across party lines. 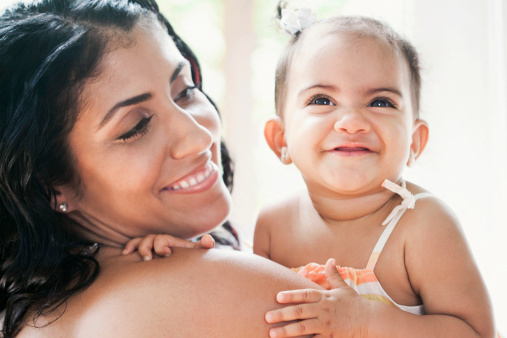 A long-term agreement will make certain CHIP can continue to fulfill its most important, nonpartisan goal: connecting children with the coverage they need to thrive. 2. Long-term renewal is critical to reassuring families that their children’s medical and dental coverage won’t disappear in the near future. Congress’ delay has come at a high human cost. The parents and caregivers of 9 million CHIP kids have been thrust into a months-long state of fear that their children will lose needed coverage. As CDHP’s executive director Meg Booth recently put it, “every day that CHIP goes without federal funding is another day that one more worry is added to parents’ lives.” It is past time to end this unnecessary cruelty. 3. Short-term extensions are tough on states, as local policy makers need some degree of certainty ahead of annual budget planning. CHIP is financed jointly by the federal and state governments. If Congress doesn’t renew CHIP funds soon, the shortfall may force states to shut down or drastically cut their coverage programs, as many have already warned. States have scrambled to develop and alert enrollees about possible contingency plans, using already limited resources due to the unexpected federal funding gap. The parents and caregivers of 9 million CHIP kids have been thrust into a months-long state of fear that their children will lose needed coverage. 4. CHIP is a lifeline for struggling families. It was designed for children whose families fall in the gap between Medicaid eligibility and being able to afford private insurance. On top of that, it actually works for families; low-income children enrolled in Medicaid and CHIP are less likely to miss dental care due to affordability issues compared to low-income children with private coverage. With the recent repeal of the Affordable Care Act’s individual coverage requirement, plans in the health insurance marketplaces may become less stable and more expensive, and there’s no guarantee that children will get dental coverage. Without CHIP, many families working to make ends meet won’t be able to afford medical and dental coverage for their kids — likely leading to children going without necessary care. 5. It's what the experts recommend and it’s cheap. A look at the data shows that short-term CHIP patches are inadequate, which is why nonpartisan researchers and independent advisors, including the Medicaid and CHIP Payment and Access Commission (MACPAC), recommend at least a five-year program renewal. In addition, the Congressional Budget Office (CBO) indicated this month that a long-term extension of CHIP would be negligible. Let's listen to the experts and keep kids covered. On January 10 at 2pmET, share your support on Twitter using the hashtags #WellnessWed and #SaveCHIP. Use our social media guide to speak out anytime. Call your members of Congress at (877) 233-9025 to urge a long-term CHIP renewal. See our online resource for a sample script and other tips when calling congressional offices. For more ideas and resources, visit CDHP’s toolkit, Why Dental Coverage Matters.